Functioning as the nation’s independent testing, assessment, and research center for national security space systems, our more than 80 specialized laboratories test, analyze, and troubleshoot virtually every aspect of rocket and satellite systems. The diverse and wide-ranging expertise of the laboratories’ technical staff incorporates new technological advancements and program support issues to develop rapidly evolving space systems. The Earth’s atmosphere is never completely dark. Even at night, the atmosphere gives off light because of chemical reactions that are taking place. This phenomenon, known as airglow, has inspired an Aerospace team to develop a camera to capture airglow effects and its stunning imagery. Electric propulsion of spacecraft, or "EP", involves the application of electrical energy as a source of thrust to propel spacecraft. 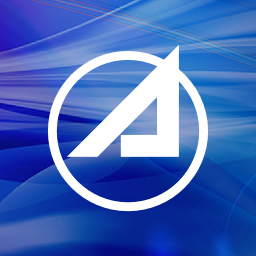 The Aerospace Corporation has developed a remarkably comprehensive suite of diagnostic tools that have become an indispensable, go-to resource for any party seeking to test the viability of new EP methods. Dr. Siegfried Janson Senior Scientist , Small Satellite Department Dr. Siegfried Janson is a senior scientist in the Small Satellite Department at The Aerospace Corporation. Catherine C. Venturini Senior Project Engineer , Advanced Development and Planning Division Catherine Venturini is a senior project engineer in the Advanced Development and Planning Division at The Aerospace Corporation. Dr. Rebecca L. Bishop Research Scientist , Space Science and Applications Laboratory Dr. Rebecca Bishop is a research scientist in the Space Science and Applications Laboratory (SSAL) at The Aerospace Corporation.